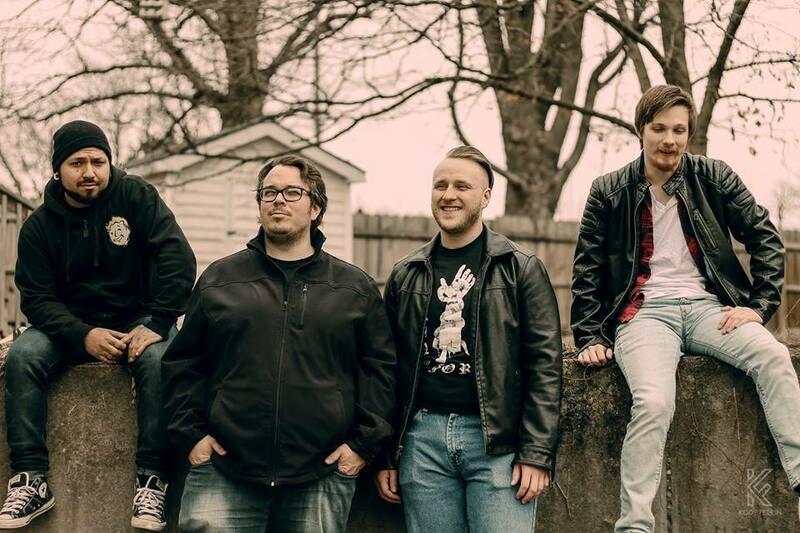 From Clay are an energetic alt-rock band based in Missouri. After initially forming as a power trio in 2017, the band prepared for an official release by recruiting bassist Nick Vogel and re-allocating former-bassist Austin Carlin to lead guitar in March 2018. The resulting product ‘As Long As You’re Happy’ was released as the first installment of a two-part release the following June. The EP combines innovative riffs with time-tested chord progressions to accompany raucous, belted vocals. Vogel proves himself as a real attribute to the quartet, keeping his bass parts busy enough to demand attention, yet still keeping the rhythm section glued together. The band draw influence from a range of artists, from Queens of the Stone Age to Foo Fighters. Frontman Justin Smith’s lead vocal parts are solid and there’s a smattering of both crowd vocals and harmonies across the record; a ball I’d encourage the band to pick up and run with. The members have experimented with several different dress codes, looking their best and most genre-appropriate when dressed in black leather as pictured above. Their social media presence is also very good; they make consistent use of both Facebook and Instagram to keep fans updated about their activities. I’m confident they could maximise their social media presence by cross-linking their Facebook and Instagram to make it easier for fans to find. They might also consider making use of a platform such as Twitter to create some fan interaction by providing more light-hearted content. Recommended for any hard or alternative rock fans. HIGH/LOW are a rock/grunge power trio from Southend-on-Sea. 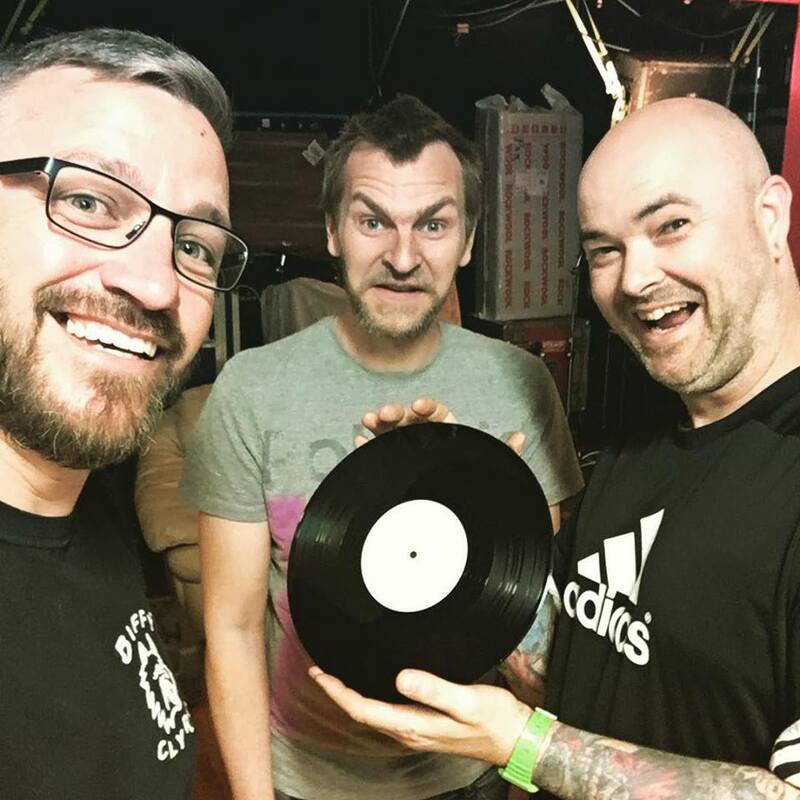 Formed in 2011, they’ve embraced the DIY aesthetic to the fullest by steadily releasing material on Instereo Records, owned by frontman Steve Weston. After a two year hiatus, the band are back in full force with their recently-released EP ‘Skeletons’; a precursor to their third full-length album. The EP effectively showcases a band who truly know their craft inside and out. The music is cut-throat and no-nonsense, hurtling forward at every turn with few tracks breaking the two minute mark. Their influences derive from a variety of other loud guitar bands, from the hooks of the Ramones to the fuzz of Nirvana. They adhere to the power trio format well, making use of beefy power chords, well-tuned drums and distorted bass to fill out their sound to larger-than-life status. They often make use of vocal harmonies in their choruses and hooks; this gives the material a real presence and is something I’d hope they look to prioritise in a live setting. The band have cultivated a strong marketable theme across their entire discography, effectively making use of vintage cutout-style graphics to connect their album art and lyric videos. Whilst the members proudly display their DIY aesthetic through the t-shirt and beard combination, I struggled to find a professional full band shot that effectively communicated their identity. This may be worth considering if the band were to look into further marketing opportunities. Their social media presence is great; they use their own website as a rendezvous point for their online activity, complete with links to various social media platforms which they post regularly on. It also might be worth considering cross-linking the social media platforms themselves in order to make it as easy as possible for fans to find them across different platforms. Highly recommended for fans of punk and grunge.